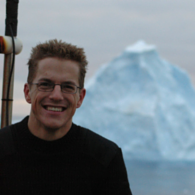 Dr Andreas Klocker is an ARC DECRA Fellow at the Institute for Marine and Antarctic Studies (IMAS). His work focuses on understanding ocean turbulence and its effects on large-scale ocean circulation, with a special interest in the Antarctic Circumpolar Current and the Antarctic Slope Front Current. To understand these fundamental processes, he uses a combination of theory, numerical ocean models and observations. Dr Klocker successfully completed a diploma in marine environmental science in Germany, and moved to Hobart to work with Dr. John Hunter as honorary research fellow at the Antarctic Climate and Ecosystems CRC. He was then invited to undertake a PhD as part of the UTAS-CSIRO joint PhD program in Quantitative Marine Science (QMS) where he worked with Prof. Trevor McDougall on understanding the fascinating processes in the ocean caused by the nonlinear equation of state. After obtaining his PhD, Andreas was then offered a postdoctoral position at the Massachusetts Institute of Technology where he worked on ocean turbulence in the Southern Ocean as part of the international DIMES project. He returned to Australia as a Research Fellow at the ARC Centre of Excellence in Climate System Science and the Australian National University. Dr Klocker was then awarded an ARC DECRA Fellow at the Institute for Marine and Antarctic Studies continuing his specialist work on ocean turbulence. Invited guest researcher at the International Meteorological Institute (IMI), University of Stockholm (August 2015). Andreas' research aligns to the University's research theme of Marine, Antarctic and Maritime. His research interests include understanding how small-scale turbulent processes in the ocean affect large-scale ocean circulation and climate. These small-scale processes are key to understanding our global climate since they play a major role in determining, for example, the uptake of heat and carbon into the global ocean. They are also vital to the transport of warm ocean currents towards Antarctic ice shelves, leading to the melting of these ice shelves and subsequently sea-level change. Current global climate models are not yet capable of resolving these small-scale processes due to computational constraints, and a substantial part of Andreas' work is therefore aimed at improving the representation of these processes in climate models that will help develop our understanding of the changing global environment. Nationally, Andreas collaborates closely with both the Antarctic Climate and Ecosystems CRC (ACE CRC) and the Antarctic Gateway Partnership, mainly through the joint supervision of PhD students, on projects involving the understanding of the role of ocean turbulence in transporting warm water from the Southern Ocean across the Antarctic continental shelf towards ice shelves, leading to the melting of ice shelves and consequently sea-level rise. Andreas also works with collaborators at the ACE CRC to understand the role of physical processes on Southern Ocean ecosystems. Internationally, Andreas works closely with collaborators in the UK (Prof. David Marshall at the University of Oxford, Drs Dave Munday and Dan Jones at the British Antarctic Survey and Prof. Alberto Naveira Garabato at the University of Southampton), in Scotland (Dr. James Maddison at the University of Edinburgh) and in the US (A/Prof. Ryan Abernathey and Dr. Sjoerd Groeskamp at Columbia University). With these international collaborators Andreas works mainly on topics related to his ARC DECRA project, 'Mixing hot spots in the Southern Ocean: processes, parameterisations and impacts' and other projects related to ocean geostrophic turbulence. The Southern Ocean plays a critical role for the uptake of heat and carbon dioxide from the atmosphere into the deep ocean. This uptake depends strongly on mixing processes due to ocean eddies, which are especially important in regions of steep topography, leading to localised mixing hot spots. These ocean eddies have scales of 10-100km and therefore cannot be resolved in current global climate models. This study will examine these mixing processes using a combination of observations and innovative modeling approaches. This knowledge will be used to improve the representation of eddy processes in state-of-the-art climate models, which will ultimately allow Australia to more effectively respond to the challenge of climate change. The aim of this proposal is to initiate a large project to investigate the processes mentioned above by developing a state-of-the-art model configuration, using the Regional Ocean Modeling System (ROMS), with two key features:1. The domain of this model covers Antarctica and the continental shelf seas, northwards to the abyssal ocean. From observations we know that in certain regions significant amounts of relatively warm water can reach ice shelves and cause large basal melt rates, whereas for other ice shelves that are well protected from intrusions of warm water, basal melt rates are comparatively lower. Only the use of a full circum-Antarctic domain will allow us to compare the relevant processes in different regions.2. The spatial resolution of this model will be 1 km, which has been shown to be the minimum resolution required to resolve the dynamics of mesoscale eddies relevant to the transport of warm waters to the shelf. The Southern Ocean plays a key role in the global ocean circulation and climate. This is, to a large extent, owing to turbulent motions at a wide range of scales from mesoscale eddies at 10-100 km to internal wave breaking at 10-100 m scales. Turbulent motions enhance stirring and mixing of tracers and hence facilitate the uptake, transport, and storage of heat, carbon, and nutrients in global ocean. Topographic features, such as ridges and abyssal hills, effectively catalyse the generation of turbulent motions, creating localised hot spots of eddy stirring and turbulent mixing. The Southern Ocean turbulent processes remain poorly understood and inadequately represented in global models.The goal of this project is to explore turbulent processes in regions of major topographic features in the Southern Ocean and to improve their representation in global ocean and climate models. Preparing for the impacts of sea level rise needs an improved understand of the response of the Antarctic Ice Sheet to changing ocean conditions. Over the last decade it has become clear that more ocean driven melting beneath ice shelves is causing the Antarctic Ice Sheet to lose ice at an increasing rate, contributing to sea-level rise. This project will explain the role of the ocean in controlling this dynamic behavior of the Antarctic Ice Sheet. We will use state-of-the-art numerical modelling and available observations to determine the key processes that govern how the Antarctic ice flows into the oceans, together with the assessment of possible future change. This proposal will provide improved understanding of the processes controlling ice sheet and sea level and will help to provide realistic estimates of freshwater and heat transport in a global ocean context. The Southern Ocean plays a critical role for the uptake of heat and carbon dioxide from the atmosphere into the deep ocean. This uptake depends strongly on mixing processes due to ocean eddies, which are especially important in regions of steep topography, leading to localised mixing hot spots. These ocean eddies have scales of 10-100km and therefore cannot be resolved in current global climate models. This study will examine these mixing processes using a combination of observations and innovative modelling approaches. This knowledge will be used to improve the representation of eddy processes in state-of-the-art climate models, which will ultimately allow Australia to more effectively respond to the challenge of climate change. The Southern Ocean plays a key role in the global ocean circulation and climate. This is, to a large extent, owing to turbulent motions at a wide range of scales from mesoscale eddies at 10-100 km to internal wave breaking at 10-100 m scales. Turbulent motions enhance stirring and mixing of tracers and hence facilitate the uptake, transport, and storage of heat, carbon, and nutrients in global ocean. Topographic features, such as ridges and abyssal hills, effectively catalyse the generation of turbulent motions, creating localised hot spots of eddy stirring and turbulent mixing. The Southern Ocean turbulent processes remain poorly' understood and inadequately represented in global models.The goal of this project is to explore turbulent processes in regions of major topographic features in the Southern Ocean and to improve their representation in global ocean and climate models. If you are thinking of undertaking a PhD and have a strong track record, feel free to discuss ideas with Andreas. There are many potential projects listed on the Quantitative Marine Science (QMS) and Quantitative Antarctic Science (QAS) websites, but if you have your own ideas contact Andreas to discuss.